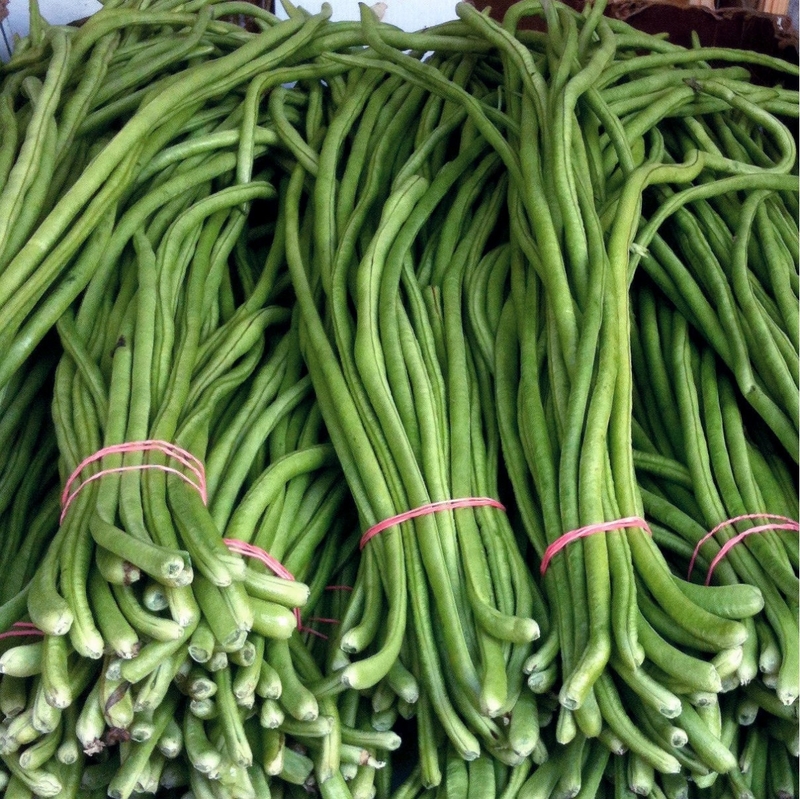 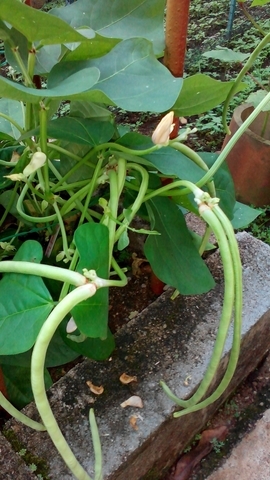 Every one can grow this longyard bean no matter how small your garden is, grow it in pot, at balcony you need no trellis. 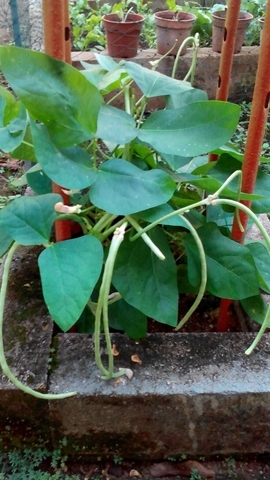 It normally grow as height 12- 36" height and ideal plant for children to grow. 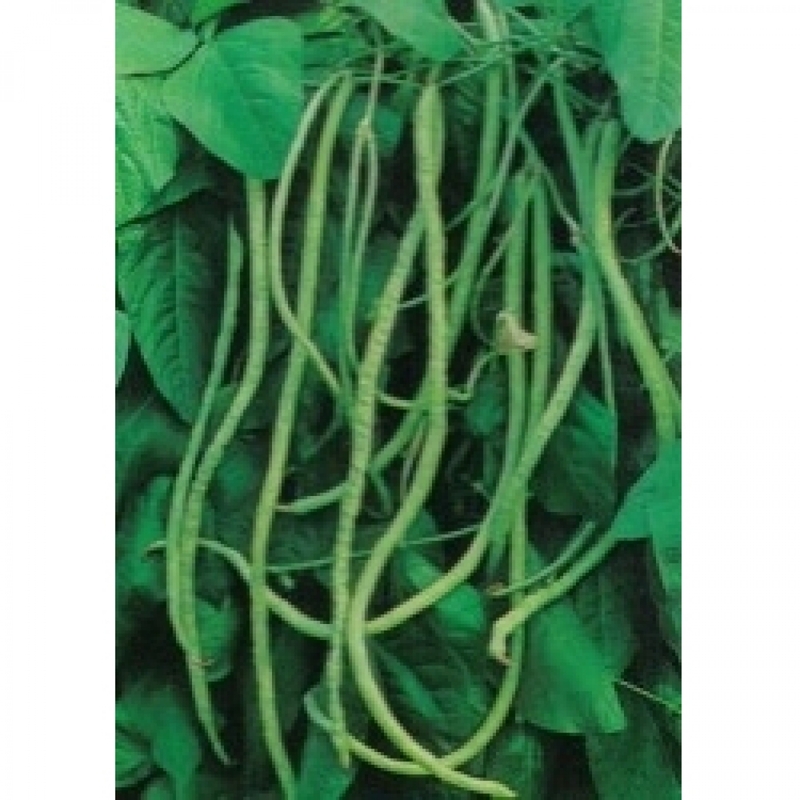 It taste as well as high bush yard long bean and the seeded are in brownish color. Height : 12" - 36"
Size : 14" - 24"